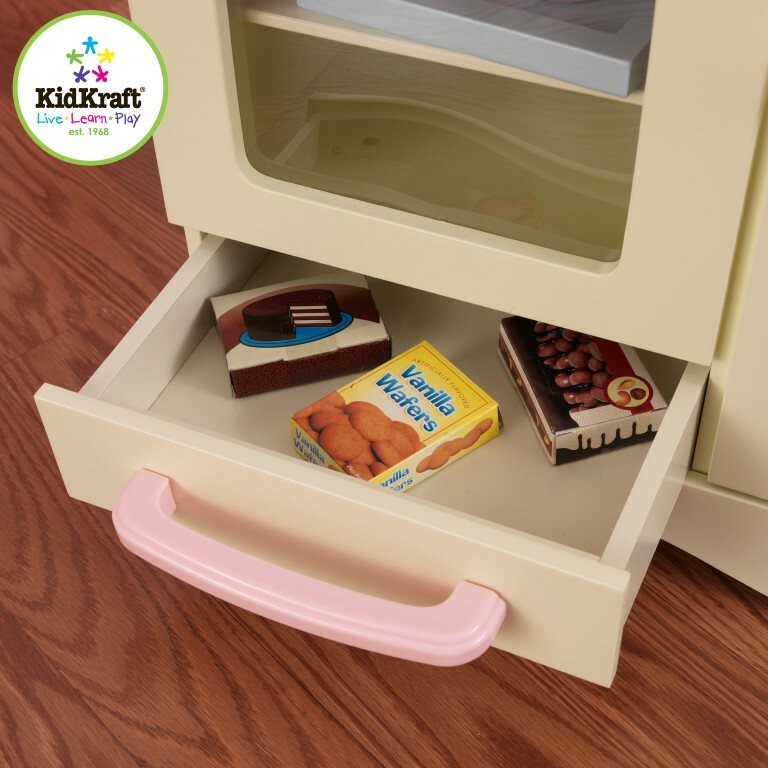 The KidKraft Prairie Kitchen is a delightful wooden play kitchen in a traditional country style.The warm cream colour works well in any setting and offsets the pink and silver design elements beautifully. 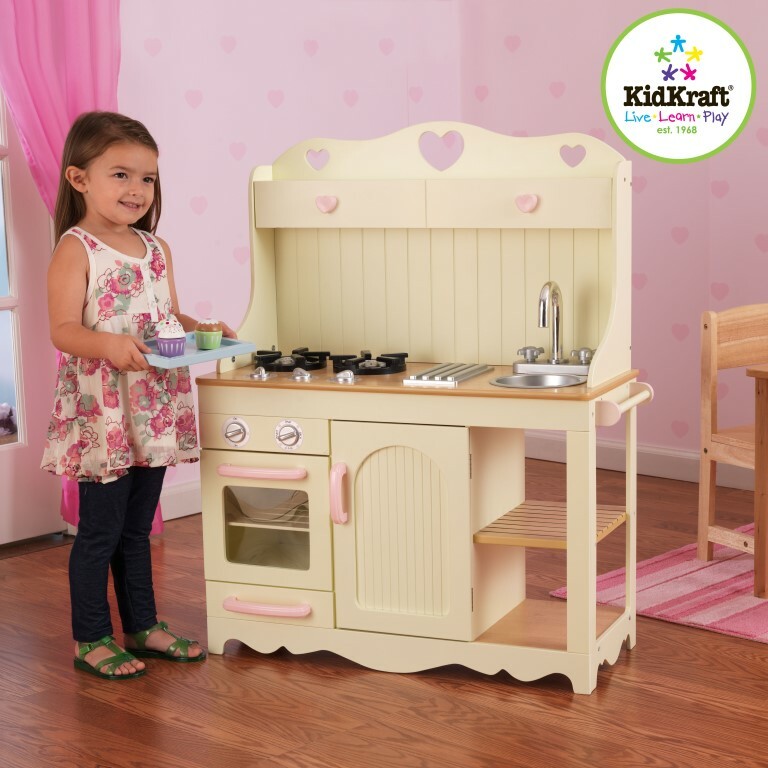 The KidKraft Prairie Kitchen is a lovely traditional country style wooden play kitchen. 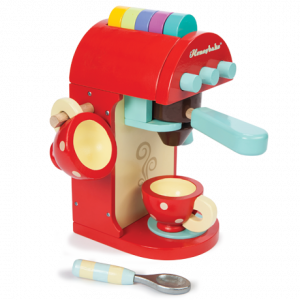 The rich cream colour is the perfect match for the subtle pink details and silver design features. 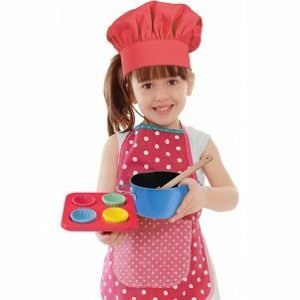 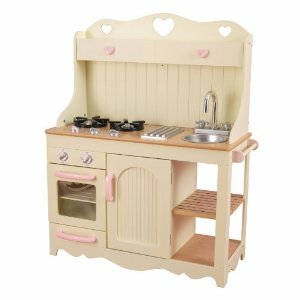 A wooden toy kitchen is super for encouraging role play games and keeps children beautifully entertained pretending to cook for their family, friends, dolls and teddies. 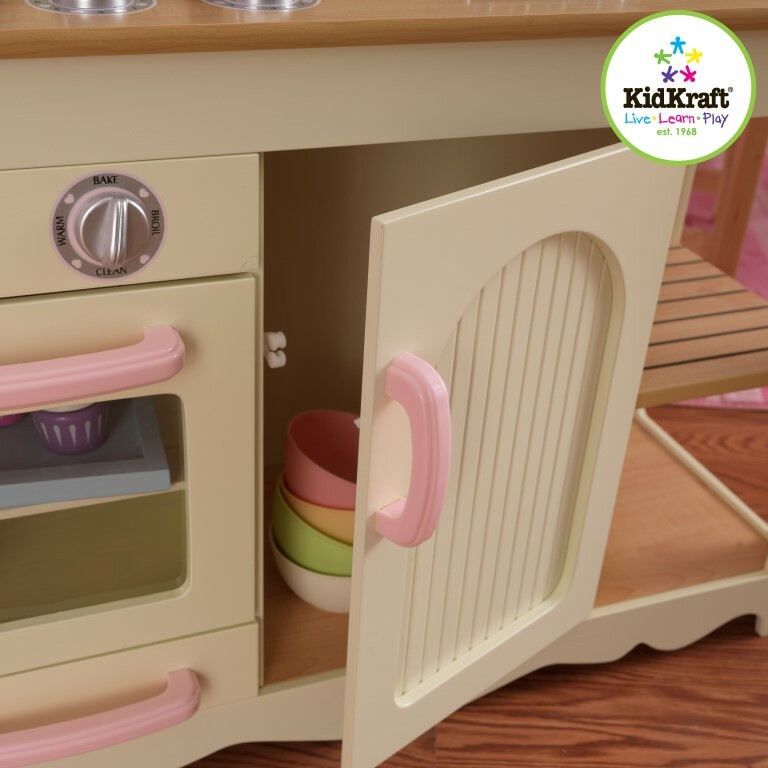 The KidKraft Prairie Kitchen features lots of life-like details such as knobs that click and turn, oven and storage cupboards and drawers that open and close and even a towel holder. 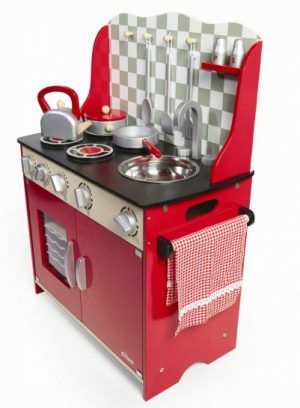 The sink can be removed for simple cleaning and there are also additional open shelves beneath the sink to store any cooking accessories or play food on. 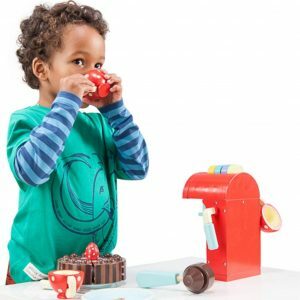 Please note that the play food, cups, bowels and cooking accessories pictured are not included. 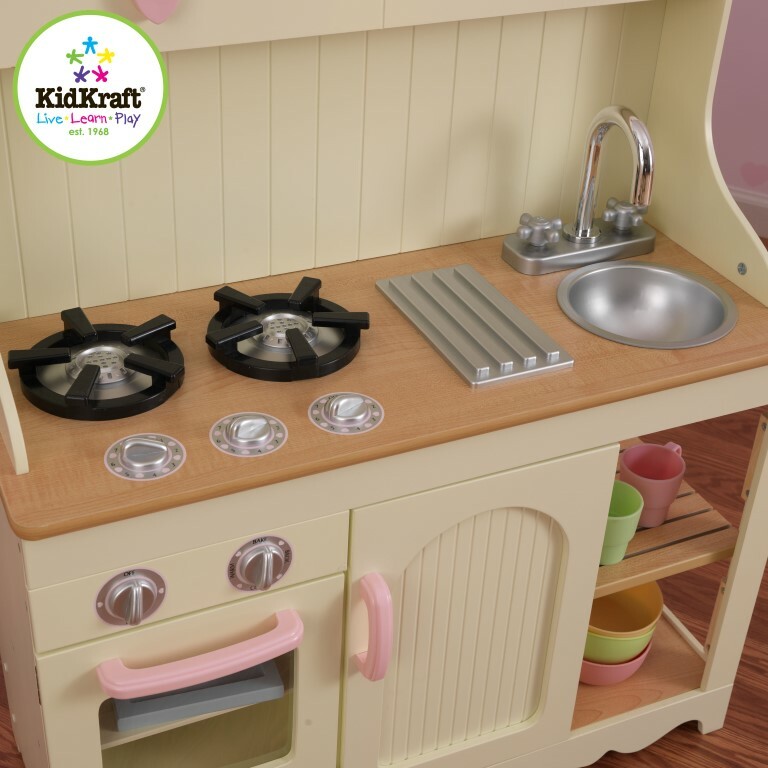 Just like all KidKraft Toys, this toy kitchen is of great quality and is very strong and sturdy once constructed. 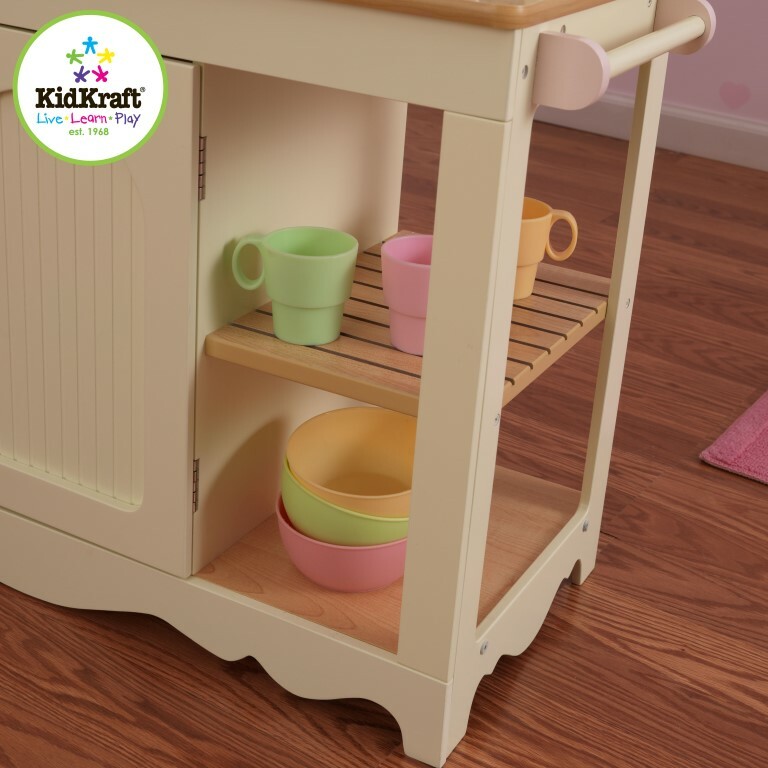 Made of composite wood products it’s easy to put together using the detailed step-by-step instructions included. 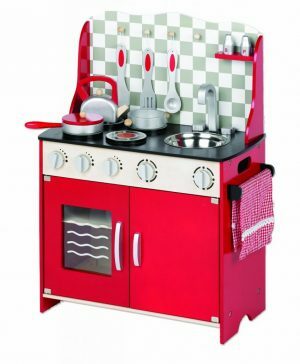 Dimensions: L77 cm x W33 cm x H95 cm. 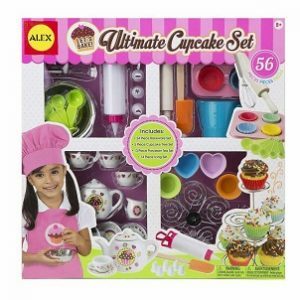 Recommended for children aged 3 .